Free Download Stoneloops! of Jurassica Game or Get Full Unlimited Game Version! 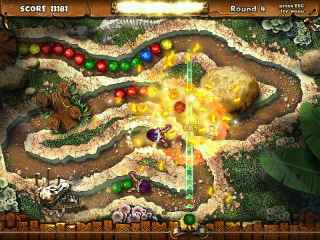 Take a trip through the five colorful realms of Jurassica as you let off some steam and smash some stuff in the extremely addictive StoneLoops! In order to get advantaged of playing Stoneloops! of Jurassica full unlimiteg game version you must register the game. Take a trip through the five colorful realms of Jurassica - from wild jungle, through endless glacier, to the edge of a blazing volcano! Own and upgrade five different houses and collect 24 trophies in this crazy, action-packed adventure! 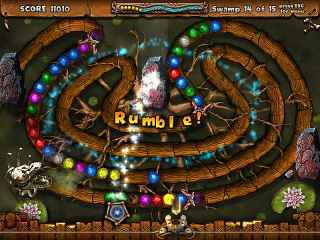 75 handcrafted levels, three modes of play and a vast number of powerups make StoneLoops! an incredibly fun game for both fans of a strategic challenge and those who just want to let off some steam and smash some stuff! Own And Upgrade A House In 5 Different Lands! Unlock the secrets of the mythical long-lost city of Atlantis in this thrilling bubble-popping adventure!